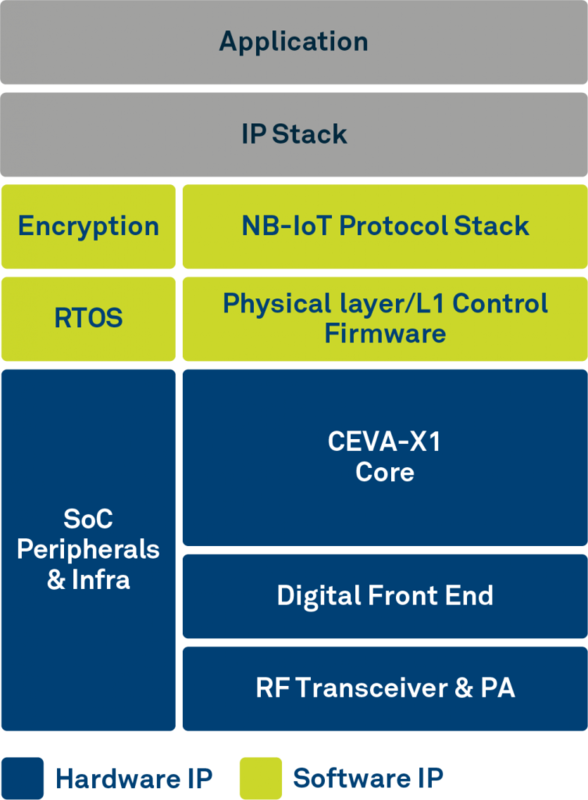 CEVA has designed a complete eNB-IoT IP solution that can serve a wide range of applications. The CEVA-Dragonfly NB2 pre-integrates together a CEVA-X1 processor, an optimized RF Transceiver, baseband, and a protocol stack to offer a complete Release 14 Cat-NB2 modem IP solution that reduces time-to-market and lowers entry barriers. The CEVA-Dragonfly NB2 is a fully software-configurable solution that can be extended with multi-constellation GNSS and sensor fusion functionality. It includes a reference silicon of the complete modem design, including an embedded CMOS RF transceiver, an advanced digital front-end, physical layer firmware, and a protocol stack (MAC, RLC, PDCP, RRC, and NAS). 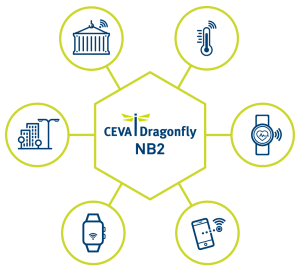 CEVA-Dragonfly NB2 is a highly-integrated and modular solution optimized for Cat-NB2 (3GPP Release 14 eNB-IoT) that can seamlessly be incorporated into chips and modules by the multitude of companies looking to address the large and fast-growing cellular IoT space.